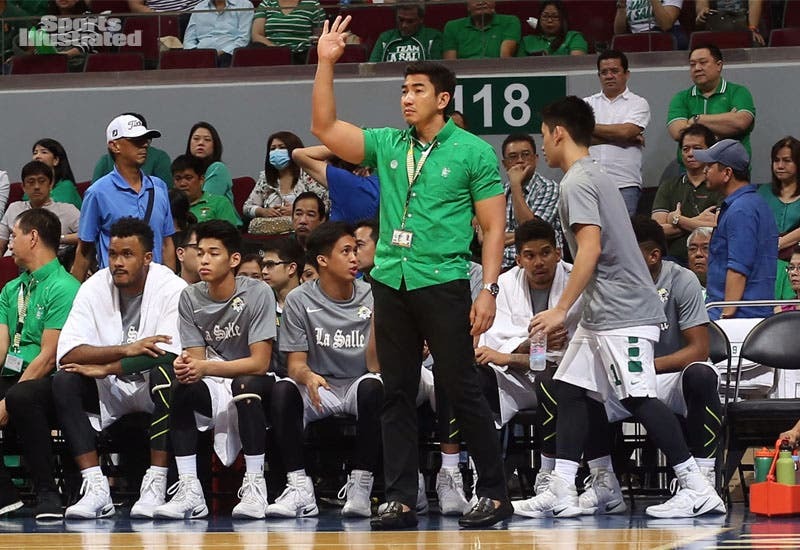 La Salle expectedly became the first team to enter the championship of the UAAP Men’s basketball tournament but its head coach in Aldin Ayo is far from a happy man. The Green Archers had to dig down deep late in the game as they were pushed by the young Adamson Falcons before settling for a 69-64 decision in the game on Wednesday at the Mall of Asia Arena. The fiery first year UAAP coach blasted his team on all fronts in the post-match interview of the game. “Pare, nakakabadtrip,” a furious Ayo told reporters after the match. “We did not play our game and that’s why I’m hesistant to congratulate them because that was a horrible game for us,” Ayo added. Horrible might even be an understatement for the Green Archers. While Ben Mbala and Jeron Teng got their usual numbers, La Salle as a whole struggled heavily on offense. Known as a team which relies on unselfishness and fluidity, Ayo’s squad finished with just a total of three assists while committing 26 turnovers which Adamson willingly turned into 18 points. La Salle’s performance was so bad that Ayo said that they didn’t “outplay” Adamson, they just simply “outprayed” them. “Siguro kung natalo lang namin sila, siguro we really prayed hard. Pare, ilan yung minintis nila? How many chances, yung closing? Malaki kami, di kami nakapag-box out. Ang dami nilamg second chance points,” Ayo continued. “Binigay lang sa amin, pare. Binigay lang sa amin. ‘Di namin pinagpursigihan, di namin kinuha,” he added. Even Ayo was left dumbfounded with his squad’s performance, especially after seeing them sharp in practices. The usual fluidity, the tenacity on defense, the unselfishness that won them 13 games in the eliminations wasn’t seen in this game. Instead, it was the losing team in Adamson who shone brightly after pushing a team that was expected to run through them in this pairing. “During the practice, ginagawa namin yan. The problem is how do you put those schemes during the game?” Ayo rued. But Ayo vowed that La Salle fans need not to worry as they look to take advantage of their nine-day break in polishing their craft even further. This loss may be alarming but the nice thing about it is that it is very fixable. “Very unfortunate for us na nangyayari ito dito pa sa Final Four. ‘Di naman siguro aabot sa maga-away away pa kami para mag-execute kami,” Ayo continued.